Can transform the look of any home as well as being a great investment. At Evesham Glass, we have a huge range of double glazed windows in a range of styles and finishes to suit you. 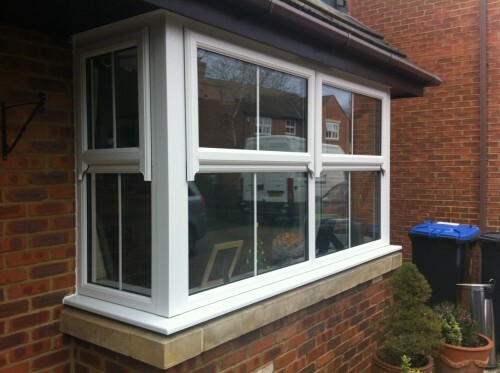 All of our windows are individually tailored to your home using high quality recycled uPVC. They are fitted using our innovative EcoTherm™ ‘A’ rated efficient installation which means they will dramatically reduce the valuable heat energy being lost through older, inefficient windows ─ saving you money on your energy bills and helping to reduce climate change. What’s more, with double glazing from Evesham Glass you need no longer worry about the security of your home. All of our windows are created to the highest quality and have been approved by the Association of Chief Police Officers as well as registered with their Secured by Design initiative. Our windows are also fully guaranteed with a 10-year warranty, so you can rest assured that not only are they secure, but they come with full peace of mind. Here at Evesham Glass, we offer a wide range of casement, tilt & turn or sash windows. Traditional aluminium spacers between each pane of glass have been replaced with Super Spacer®, which is a non-metallic warm edge spacer bar, 950 times less conductive, which virtually eliminates condensation, increases sound insulation and ensures a dry cavity due to the incorporated desiccants within. If you are unsure about what style of window you would like in your home and need some guidance, then we have a team of consultants on hand to walk you through the range of options we have available. If you feel your mind’s already made up, then simply get in touch and we’ll send send you a quote. Once accepted an expert surveyor will come round to mesure up your installment.